You’ll see a fair amount of humor implying that genealogists consider dead people more interesting than living ones. That’s not entirely true, at least for me, since I find people fascinating in general. However, if I had the time (and sometimes even when I don’t), I could spend hours looking up ancestors on the free site Findagrave.com. 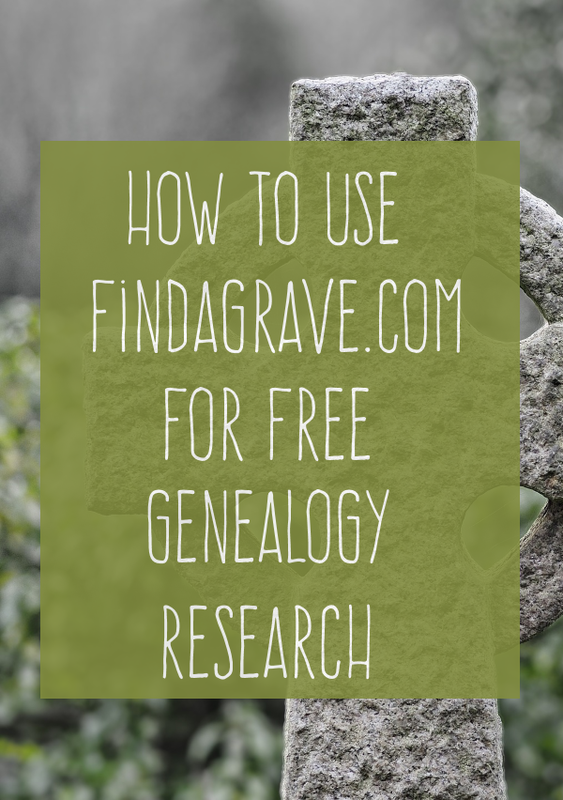 It’s among the best free genealogy research sites out there – chock full of information over and above what you’d expect to find. At first glance, you’ll find a site listing the information from people’s gravestones, and often photos of the grave markers as well. As you poke around, though, you’ll see that many entries also include additional notations. These may include full or partial newspaper obituaries, lists of other people in the person’s family with links to their Findagrave.com entries and even photos of the deceased. Some gravestones include military information, such as whether the person was a veteran of the Civil War, Revolutionary War or another conflict. 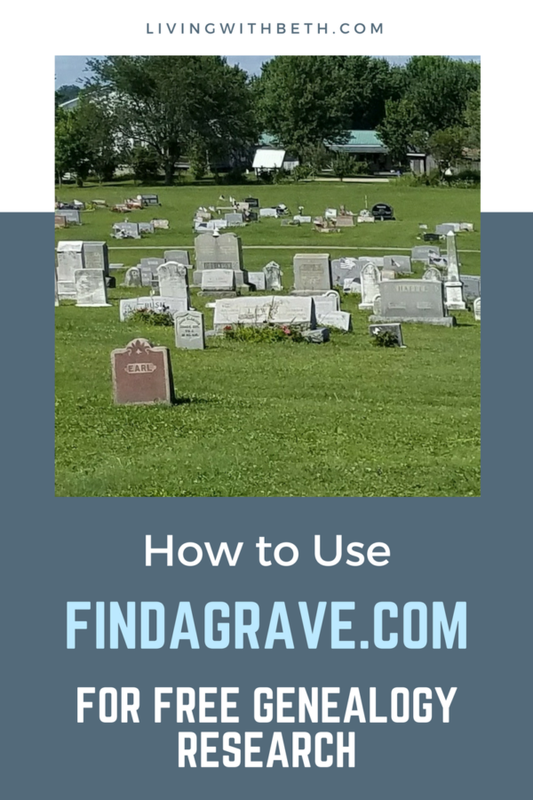 To get started, visit Findagrave.com’s online search page and enter your ancestor’s first and last name. You can also enter the year born, year died and/or the cemetery location. If you click More Search Options, you’ll see a few additional choices, such as searching by maiden name and partial last name. For the years of birth and death, you can choose Exact, Before or After. I recommend leaving this blank for your first search unless your ancestor has a very common name. If you want to put in a year, enter something like less than 1900 or greater than 1850. The reason for this is that often gravestones are so worn off that the text is unreadable, or the gravestone doesn’t include a birth year. You don’t want to miss out on these possible hits to your search by eliminating everything that doesn’t match a known birth year. The same goes for death year – not all gravestones have a readable year of death, either. 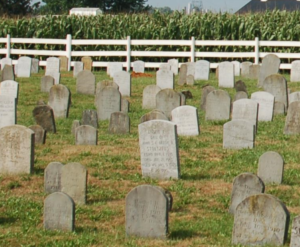 If you know your ancestor died before, say, 1870, you can narrow down the search by using the “before” search field, and it’ll still show graves that don’t have years. 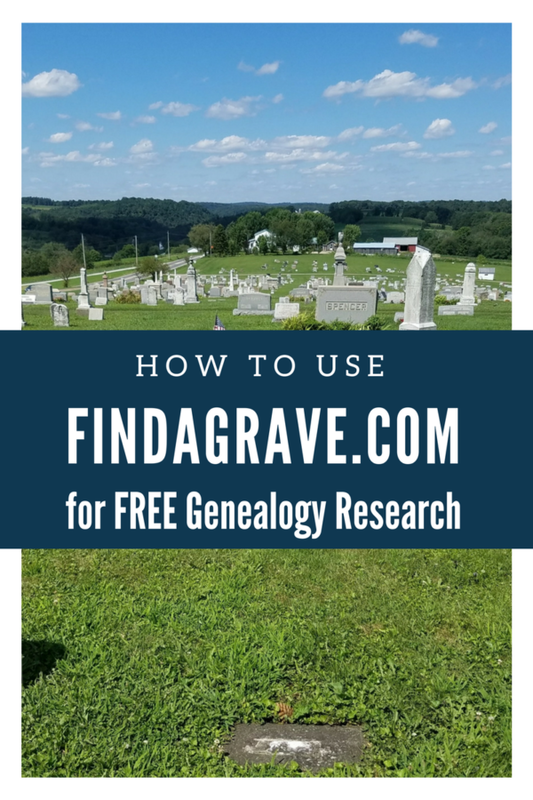 Findagrave.com’s search is quite versatile and flexible – you can do a really broad, general search if you’d like, then click Refine Search on the top if you get too many search results and want to try narrowing it down. After entering your search information, click the Search button. Once you find your ancestor, the fun really begins. Many entries have links to other relatives which you can click for additional information. I also suggest clicking on the link to the cemetery where your ancestor is buried and searching for others with the same last name. People buried in the same cemetery in previous centuries were pretty often related. You might find information on dozens of relatives, all in the same location. 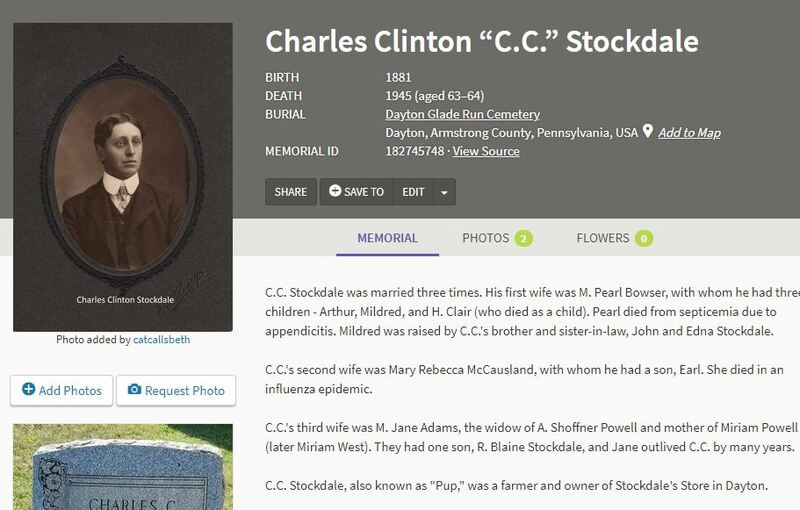 Charles Stockdale, pictured above, was my great-grandfather, and I created his Findagrave memorial. You can find more of my genealogy posts at this link. 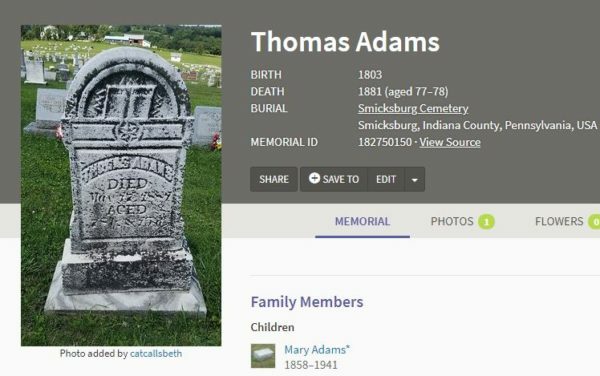 What have you discovered about your ancestors using Findagrave.com? What are some other free genealogy research tools you’ve found helpful? This post was originally published in May 2016 and updated in May 2018 to reflect Findagrave’s new layout.